I have to be honest, people; when it comes to reviewing games, few franchises leave me with less to say than Hyperdimension Neptunia. It’s not that I feel overwhelmingly positive or negative about the series; on the contrary, I find it so middle-of-the-road that it’s difficult to come up with much to say about how one entry compares to the others. For me, it’s one of those “play one, you’ve played them all” sort of things. I’d be hard-pressed to name any one part of any of the other games, as they’ve all blended together into a sort of Neptunian mélange in my brain. Simple turn-based or button-mashing action RPG gameplay; the same few enemies repeated over and over; very goofy game industry, er, Gamindustri, jokes; and bizarre cutscenes that involve a lot of sexual tension between the girls, some of whom look definitively underage. Cyberdimension Neptunia: 4 Goddesses Online, continuing in that tradition, didn’t elicit much more feeling from me one way or the other. That’s even with the bizarre meta-narrative getting more meta than usual as the gal-pals of Gamindustri spend this game, well, playing an MMORPG together. I mean, the storylines of these titles are pretty low-stakes as it is—mostly existing to provide an excuse for gaming in-jokes and moe cutscenes between the many, many characters—but this one pushes the boundaries of being able to be called a story at all. Needless to say, not a lot happens this time around, and what does happen was of minimal consequence. It’s just lighthearted adventuring with a lot of silly references to the fact that game characters in a gaming-themed world are themselves playing a game. Only one thing managed to raise my eyebrows: the repeated joke of one character forcibly pulling another (who looks about seven or eight) into her heaving chest. Yeah, uh, no thanks. Mindless, in a Good Way? Thankfully, as usual, the series’ gameplay provided far fewer opportunities for disgust. It may sound like an insult to call a game “mindless,” but there’s a certain zen state one can get into with a hack-and-slash title like this. Having had a rather stressful month, I admit I really enjoyed gathering up a party of four and going to town on one group of enemies after another. There’s not a ton to do outside of combat, but Tamsoft has seen fit to throw in some puzzles and the occasional environmental challenge (a bit of platforming here, some maze navigation there) to keep you from going completely on auto-pilot. Since combat’s really the name of the game, as expected, there are plenty of customization options for the robust list of playable characters. I particularly enjoyed learning different skills for the different MMO “classes” of each of the party members; as I’m usually a healer when I (rarely) decide to dip into MMO territory, I was happy to see the option available even from a single-player perspective. The way the game’s laid out means smart players can take advantage of certain situations to really jump ahead of the curve if they want; for my part, I had quite a bit of fun when I stumbled upon a dungeon with enemies much higher than my team’s levels and was able to take them down with a certain trick, thus over-leveling everyone for a little while. For folks interested in chasing down the Platinum here, I think the character variety and customization, as well as the occasional trick to “cheat” the system, come together in a really satisfying way. I will say one thing in Cyberdimension Neptunia’s favor over its predecessors; while not a ton about this series’ individual entries sticks out to me, I did notice a definite visual upgrade here. I’m sure a lot of that has to do with the fact that I experienced many of the earlier titles on the Vita, and I’d caution against anyone getting excited that this takes full advantage of the PS4 hardware, because it doesn’t. 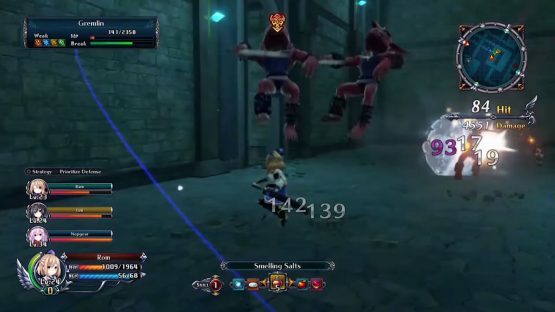 But at a time when many lesser-known JRPGs seem content to languish in PS2-era animation, it’s nice to see a franchise looking to improve on its previous outings with a little more polish and splash. With that said, though, does anyone really like motion blur when it’s used so extensively? I know it looks cool at first, but it’s really kind of an annoying, dizzying effect, and I wish developers would be a bit more discerning about its usage. 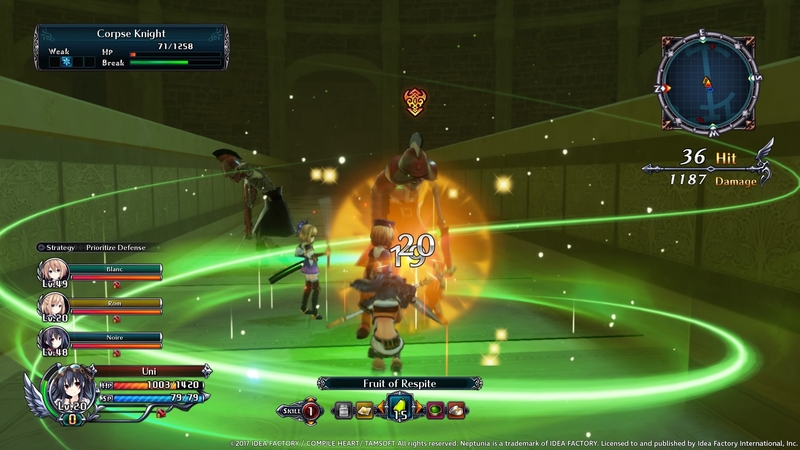 Cyberdimension Neptunia: 4 Goddesses Online is a perfectly serviceable action RPG. That might not sound like a ringing endorsement, but for folks who are looking for a bit of mindless, distracting entertainment (and who couldn’t use that with all the things going on in the world today? ), Tamsoft’s latest foray into this goofy game industry parody should fit the bill nicely. It’s certainly not the mark of a masterpiece when the most you can say about a game is that it’s fun and mostly inoffensive, but this series has never really been aiming for that high mark in the first place, and that’s just fine by me. 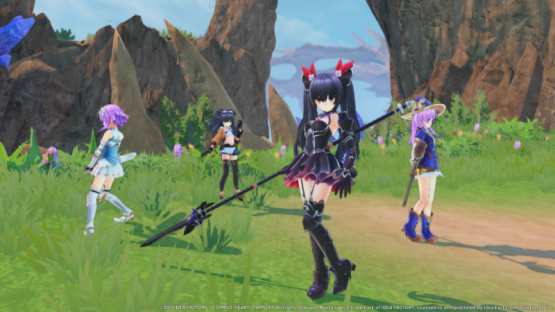 Cyberdimension Neptunia 4 Goddesses Online review code provided by publisher. Reviewed on PlayStation 4 Pro. For more information on scoring, please read our Review Policy.